Duct tape has been the go to fix it tool of choice in my house for many years. There is nothing you can’t fix with duct tape. But crafts? Can you really do crafts with duct tape?! I had to swing by the dollar store the other day to grab a new composition book for art journaling. I decided I would cover it in some cute Duck Brand tape so that it might withstand the beating I was going to give it. With so many cute colors and patterns to choose from, I picked up a couple of rolls. Start by ripping off a nice length of tape. Place along with top part of the bag, lining up with the edge of the zipper. Continue with an additional color or same color until bag is covered, both sides. If the tape piece goes over the edge, simply wrap around to the other side. 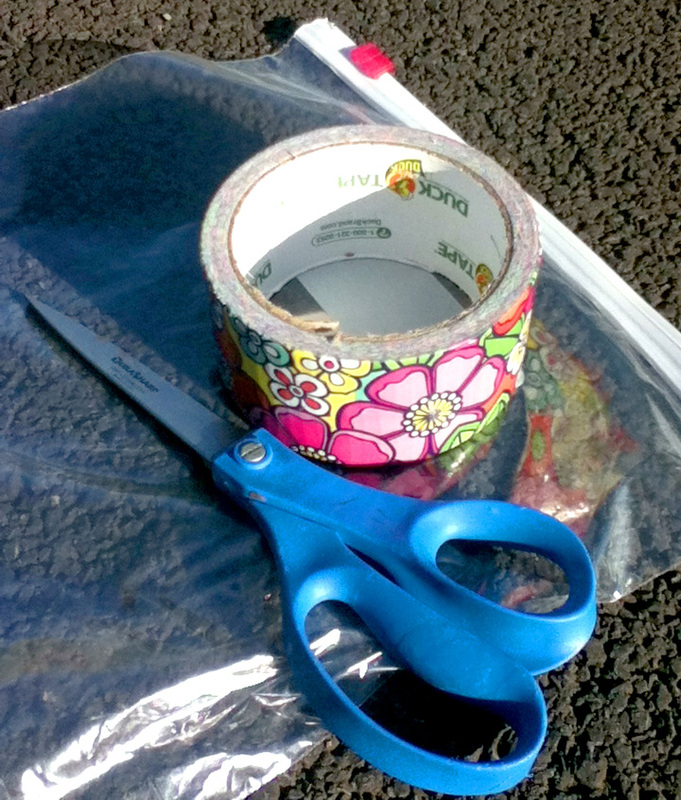 You can cut your duct tape into different shapes or make patterns… what ever suits you! When the bag is completely covered, cut a long length of tape that will become your handle. The piece we used was about a foot long and is a tad short for the gallon sized bag. Take one end of the tape and place it on the upper corner of the bag, next to the zipper. 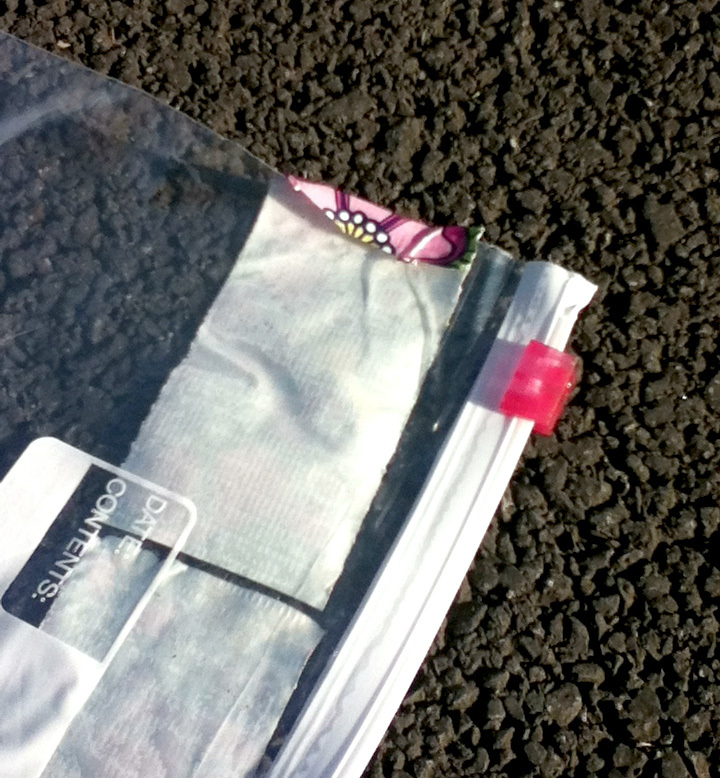 Secure the other end of the tape to the opposite side of the bag at the opposite end of the zipper. Gently crumple the duct tape onto itself then, along the length of the strap. Voila! From here, you can add glitter glue, stickers… whatever suits your fashion plate fancy! 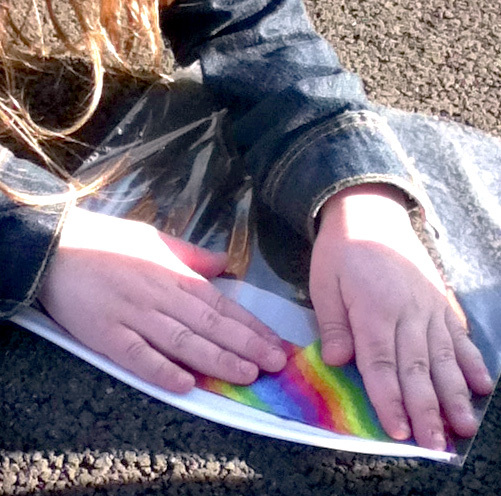 With the right tape, it makes a great bag for holding rocks and cars too! If you are thinking about making this as a party favor… you may want to check out my post on Duct Tape Tips! With your left over tape, you can also consider making duct tape tassel book marks. Yup, I guess duct tape is for crafting too! For more duct tape purse inspirations, check out the Duck Brand Pinterest page or you can check out this great tutorial on how to make a purse without the ziplock, using duct tape only. Rocks are not is short supply round here so that will work! This is easy and fun! It is great for the beach!! Even a great idea for creating a small one for my cell phone! really cool! Thanks for sharing! A cell phone case! Great idea!!! I actually have a friend who instructed a group of her daughters friends on how to make wallets like this. It turned out really great. They are so fun with a group of little girls! My daughter and I had a blast making this one! Cute! http://www.educttapecrafts.com/ has some more great duct tape inspiration. Cheers! Thanks so much for the comment and the link. I will give it a look! Thanks so much for stopping by and thanks for taking the time to comment! How much time do you spend o make one purse and how long do they last with regular use? thanks! 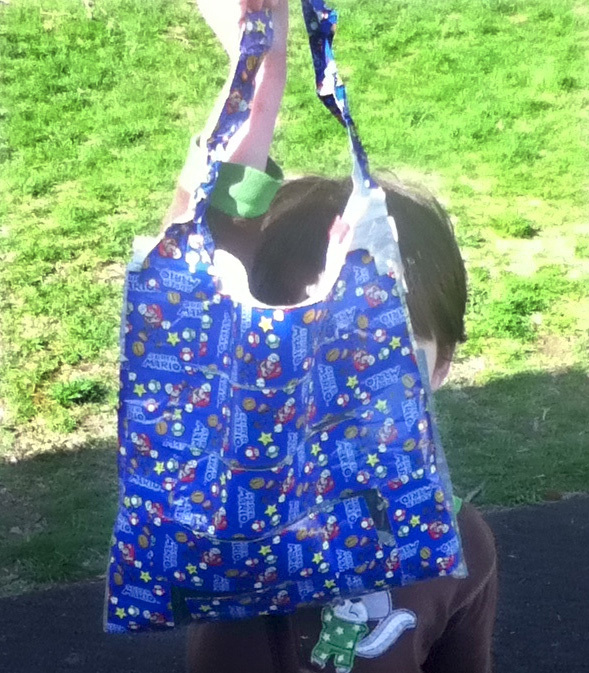 My kiddos made the purses shown here- in about 20 minutes. So long as all of the seams of the bag are covered, they stand up to regular use quite well! Ours have been carrying rocks and cars and doll dresses and beads… and are still standing! HTH!